A beard is a huge responsibility. Not ready for that responsibility? Then you’re not ready for a beard, whether you can grow one or not. It’s that plain and simple. Ever since ancient times, men have kept beards to demonstrate their importance, power, leadership, wisdom, and virility. Seriously though, science shows that as far back as the Mesopotamian civilizations (including Sumerians, Assyrians, Babylonians, Chaldeans, and Medians) men wore beards as a symbol of masculinity. The same holds true today. A full-bearded man still exerts a strange sort of “magic” over the clean-shaven men around him. On top of that, a beard has long been a sign of maturity. Though it’s not always the case, psychology shows that men feel more mature with a beard and that others view men with beards as more mature. And then there are women. Although preferences certainly vary, science once again comes into the picture with evidence that the majority of females find beards attractive. Beards might even, on some deeper level, promote a man’s ability to father children. And that’s exactly the question we’re going to answer below. 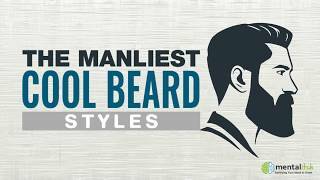 For all you guys out there who want the thickest beard, the fullest beard, the nicest beard, and the healthiest beard possible – this information is for you! Any guy that wants to learn how to grow a beard faster needs to understand one simple thing: you can’t change the speed at which your beard grows. No matter what you do, your beard hair isn’t going to grow faster. Though growth rates do vary very slightly from person to person, they don’t vary enough for any noticeable difference. In fact, all human hair grows at roughly the rate of half an inch per month. Well, we have news for you. His beard isn’t growing any faster than yours – it’s just coming in thicker and fuller. In other words, his beard becomes apparent sooner. Oh, and one other thing – your beard growth pattern is pretty much all up to genetics. It can take up until your mid-late twenties for the full beard to grow in, so don’t fret, but not everyone’s genes allow them to grow a huge full bushy beard. But don’t fret. We’ll help you out. Keep it in mind that most of the tips to grow a beard faster than we provide below are not focused so much on growing a beard faster but on growing a beard thicker to create the illusion of faster growth. One thing we will note is that poor diet and hygiene can inhibit healthy growth cycles, which can limit your beard growth during these times. If you are not living a healthy lifestyle, or are not taking care of the skin on your face, you may be able to “speed up” your growth rate back to normal by improving your grooming habits. Our single best piece of advice for those looking to grow a thicker, fuller, nicer beard is to make at least a two-week commitment, but really my friend, go with the full month. Give it a fighting chance. The simple fact of the matter is that all too many men get discouraged early on, in the first week or two of growth. Just because your beard doesn’t come in nice and full at this point, doesn’t mean that it won’t later on. Not to mention, this is when it’s at the peak of itchiness. Give your beard four (potentially annoying) weeks to grow and then evaluate its true status. Once again, the key here is commitment. Let your beard grow for four weeks and just let it grow. Don’t worry if it comes in patchy. Tough through it and don’t resort to grooming other than simple shampoos, conditioners, oils, and brushes. You’ll be surprised just how thick your beard comes in at the end of a four-week period. Made it to four weeks? Good for you! At this point, you have two main choices. You can choose the natural growth route, letting your beard continue to grow freely. Or you can choose to start maintaining your beard by grooming and shaping it. Both have their pros and cons and the choice is totally up to you. Alright, you’ve committed to four weeks of no holds barred beard growth. So what can you do to ensure that the end product is exactly what you want it to be? It’s actually quite simple. And it all boils down to being healthy. Most of these things will allow you to reach your optimal growth rate. Again, not “faster”, but reaching your pinnacle “normal” growth rate. There’s a lot that goes on with hair and growth cycles and nutrients, so keep your body in top-notch shape and your beard will follow. Exercise – Most people don’t know it, but regular exercise is one of the best ways to promote a thicker, healthier beard. In fact, the male testosterone hormone has the single biggest effect on facial hair growth. So get on down to the gym and start sweating. Be sure to include both cardio and weight lifting into your routine. Diet – A healthy diet is the key to a healthy beard. Stick to nutritious, vitamin-rich foods, including lots of vegetables (especially cruciferous ones). Because hair is a protein filament, protein-rich foods have also been shown to boost their growth. Rest – Too many men overlook the importance of rest. Yet plenty of it is essential to all areas of your life. It helps regenerate testosterone and improves your ability to give your all at the gym the next day. Shoot for between 7 and 9 hours of sleep per night. Supplements – As with diet, supplements can help give your body the vitamins and minerals it needs to boost hair growth. Everything from iron to vitamin B to vitamin D to magnesium is important to hair growth. In fact, deficiency in these vitamins can even play a role in hair loss. Don’t be afraid to use supplements if you can’t get the proper levels of these nutrients through your diet. It’s also worth noting that there are special facial hair growth supplements on the market. Though we believe most men won’t need these, some swear by them. The most popular beard supplement is probably Vitabeard. Stress – Unfortunately, too much stress can actually make your beard thinner. Once again, testosterone comes into the picture. Increased stress actually limits the amount that your body is able to make. So control stress with whatever method you can. For some, this might be mediation. For others, a combination of the healthy tips we talk about above (exercise, diet, and rest) will help do the job for you. A big part of growing a thicker beard is actually maintaining it correctly once it’s grown in. A well-maintained beard looks much nicer and healthier than one that isn’t maintained. The first step to beard grooming is keeping your beard clean. You can easily accomplish this with almost any shampoo and conditioner. Though the same type you use for your hair will work, there are also dozens of beard specific shampoos and conditioners on the market. It’s also a smart idea to invest in a high-quality facial hair electric trimmer. This allows you to better style the hair as it grows, especially after the initial four-week growth period. Shaping your beard not only helps keep it looking better, but it also promotes new growth. So don’t be afraid to trim your beard back into shape even if it means chopping off some of your progress. Finally, we urge you to find the beard grooming products that work best for you. There are literally so many out there that the options can be overwhelming. In addition to a beard brush (a must have for any beard owner), we swear by beard oil and beard balm. A high quality option are those products offered by Liberty Premium Grooming Co.
We’re strong proponents of letting your beard grow the natural way. We believe that a four-week commitment plus a healthy lifestyle and quality beard trimming tools is all that the vast majority of men need to grow the beards of their dreams. However, there are other options available. These include facial hair transplants, hormone therapy, and beard growth stimulants (similar to the popular Rogaine). Once again, we believe in a natural approach to beard growth, so we’ll let you investigate these alternative options on your own if they interest you. Waited the four weeks we recommended? Maintained a healthy lifestyle of diet, exercise, and rest during this time? Used the proper beard grooming tools to keep your beard looking spiffy? Great job. But now you might be wondering what happens next. Well, in a sense, the world is your oyster. You have a beard! And a thick, full, nice, healthy one at that. The next step is to continue maintaining your beard over a period of time. Try out different beard grooming products. Maybe even try out a few different beard styles. Eventually, you’ll find a combination that works best for your face and leaves you completely happy.